Solomon is a Lecturer in Accounting and Finance. He currently teaches Financial Modelling, and Investment & Portfolio Management at the Nottingham Business School. 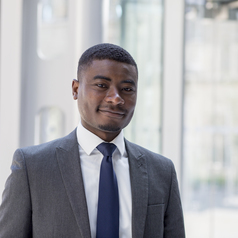 Solomon is a chartered accountant (ACCA) and holds a PhD in Finance. He has researched and published on Financial (Credit) Exclusion and his current research interests include securitisation and bank lending.